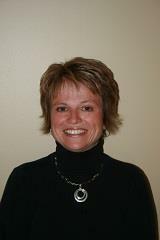 "We would highly recommend using Karen Scott as your real estate agent. We have dealt with Karen for several years. We first enlisted her services when we were trying to find a lakefront property in the South Shore area. Our search efforts were complicated by the fact that we live in Ontario. Karen bridged the distance by setting us up with automatic email message of any new listings meeting our criteria. She also provided great advice on our search efforts when we were able to visit her at her office while on vacation in Nova Scotia. We eventually did purchase a lakefront property in a private sale. When we subsequently had to sell that property, we chose Karen as our real estate agent. Karen gave us sound advise on the market value and the listing of the property. When we were required to hire contractors for work or to provide quotes for work required to complete the sale of the property...Karen again bridged the distance by recommending some local contractors for us to contact. Karen appears very knowledgable of the real estate business and of the real estate sales market in the South Shore area. Karen is also a very pleasant person to do business with." "We would like to thank Karen for making buying our first home a smooth and exciting adventure! Karen's genuine interest and accommodating demeanor made her an absolute joy to work with!" "Karen Scott is a realtor who cares about her clients and ensures they find the best possible home that fits the wish- list of her customers. She is one of the most honest realtors we have worked with and makes buying a house fun, with her wonderful sense of humour. Karen is very patient and takes the time to listen to any concerns or questions you may have and is very knowledgeable in her field. We would not hesitate to recommend Karen Scott to a friend." that is very good at her job and reliable."